The mental aspect of running & life — train your brain & feel good! 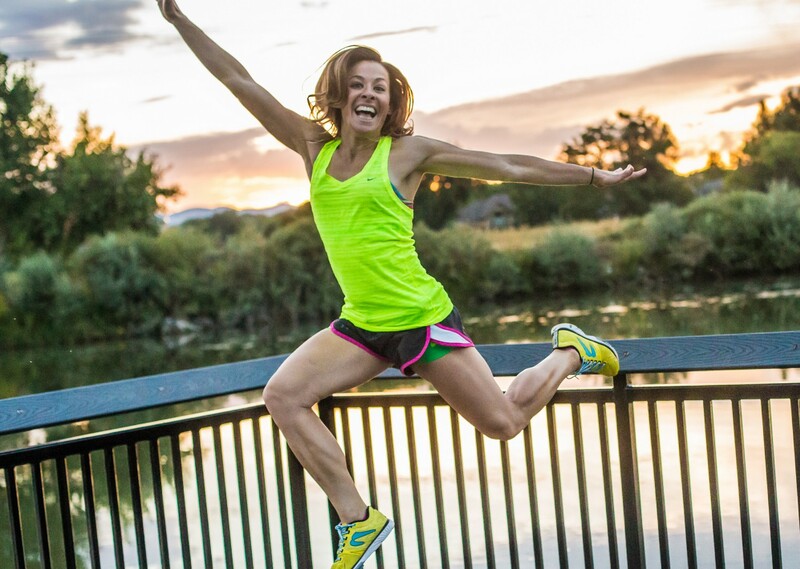 Kristi Walthall, Founder of Sunrise Running Project. Lover of outdoor adventures and travel. The Mental Aspect of Running & Life — Train Your Brain & Feel So Good! What is it that draws us to run? Running makes us feel strong, centered, present, mindful and free. Many of us began our running journey for the physical benefits that it brings only to find that the mental gains have turned out to be an added bonus that prove to be far greater. For many, running has become a sort of moving meditation or cheap therapy if you will. As we spend more and more time on our feet, runners mull over problems, come up with solutions, or simply stay in a Zen-like state and think about nothing at all. I’ve learned that running shapes you far beyond the trail. If I am mad, sad, happy, excited, grumpy, stressed, annoyed, ANYTHING –my family often tells me to go run. I come back with a renewed sense of hope, less frustration, or resolve about something that seemed so big a short while ago. I know many of you runners can attest to having the same feelings after a run. Things that once seemed so difficult simply don’t seem as bad anymore. Relationship problems aren’t so problematic. That argument really was trivial. Tight deadlines and work stresses don’t seem as threatening. I’ve found a love for endurance sports because it allows you step your mental game up to a whole new level. It gives us the rare opportunity to practice suffering and allows us to get comfortable with the uncomfortable. I ran a 50k along the Continental Divide at 13,000 feet this past summer. It was such a difficult race but it was absolutely incredible. I had a blast! The last 5 miles were the most challenging as my body and mind were feeling the strains from the steep climbs at altitude. I verbally repeated the mantra to myself: “Relax, Relax, Calm, Calm, Breatheeeeeee” over and over again for nearly 30 minutes. I was in such a meditative state when I finished. I made it over the rough patch and achieved my goal time (I might have a bruised chin to show for it but that’s another story for another time…). I always tell people, running isn’t rocket science — it’s just right, left, right, left. Similarly, life is the same way. Some days it is hard to keep moving toward the end goal, our feet feel like lead, our mind is making all kinds of excuses, everything around us seems to be playing against us — but I encourage you to refuse to quit! Think about that feeling when you achieve your goal and cross that finish line. What are you doing today to move yourself closer to your goal? No matter how big or small, make sure you take daily steps to move you closer and closer to the destination you have in mind. Get comfortable with the uncomfortable and remember to keep pressing on! Here are some additional questions and thoughts to ponder that helped me step up my personal mental game recently. I hope you find some value in them as well. I encourage you to write down at least 3 things daily. Some days will certainly be harder than others. Just like a race, life can be really tough and present an array of challenges — hurdles along the way, gut bombs, hitting the wall, everything in your body wanting to quit, so on and so forth. However, there is always a blue sky behind all the clouds. It’s hard to be negative or “stressed” when you focus on the things around you that you are grateful for. I encourage you to focus on prosperity, not debt. When you focus on lack, you attract it. Focus on the good, and more good will come your way. Who are you & what do you stand for? I truly believe that we each have our own set of unique skills and abilities to contribute to the world around us. How are you pushing yourself to make an impact on the world around you? I challenge you to create a personal manifesto for yourself. Declare your core values and beliefs, what you stand for, and how you intend to live your life. It functions both as a statement of principles and as a call to action. Show love to all those I come into contact with. Find a way to connect with others, bring joy to their lives, and focus on having a ‘give first’ attitude in all situations. Display confidence. Believe in my ability to make a difference in the lives of others. Self-defeating thoughts/words/behaviors are lame. Always act with integrity. Be honest, good, and someone that others can always trust. Focus on what’s important, and leave a legacy that others want to emulate. Run hard towards my goals, dreams, and vision for my life. Always have the drive and motivation to never give up. Focus on making an impact on the world with my talents. This is YOUR OWN JOURNEY! There is no room to compare it to others. Learn something new everyday and focus on being the best version of myself day after day. What are your visions/goals for yourself? What are the things that really resonate with your heart? I encourage you to follow your excitement, passion and joy. Take a step each day to go do that thing that lights you up. Trying new things can be scary, but it opens you to a whole new world that you didn’t know existed. Just like running a new distance, each new mile/milestone is a mind expander. You realize that you can do more than you once thought, that you are capable of more than you think. Remember, true greatness lives just outside your comfort zone. What goal or vision are you currently running towards? I’d love to hear from you, your journey, your struggles, your insights and things you currently need help with. Looking to step up your running game? Here is a FREE mini course — Run Faster, Stronger & Injury Free — to give you a great kickstart to your running program. Enjoy! !